Individual responses to any occupation by a foreign power are never simple or clear cut. They reflect contingency as much as individual moral decisions. Resistance and collaboration are crude classifications of a range of reactions, actions, decisions and choices. In the Japanese sphere of conquest in Southeast Asia, interactions with the occupying power were multifaceted and highly volatile. These colonial societies were communally divided and indeed divisive. Each community reacted differently, and were treated differently. For some, the Japanese offered liberation. Others simply perceived them as merely the latest foreign occupier little different from the British, French or Dutch colonial powers. A substantial minority, but a minority nonetheless, chose to actively resist the Japanese occupier by force of arms. The bulk of these resistors were communists. A significant majority, however, concluded that little or nothing would be gained by non cooperation. But merely ‘getting by’ could in war time Malaya easily shade into active collaboration. This irreducible complexity is evoked by Sybil Kathigasu’s very powerful account of her war time experience and torture by the Japanese: ‘No Dram of Mercy’. It is significant that Kathigasu was Eurasian. She was born Sybil Daly in Medan in Sumatra. Her parents were also Eurasians of mixed French, Irish and Asian ancestry. The family was Catholic. Her husband Dr A.C Kathigasu was a Tamil and Hindu – but agreed to convert to please Sybil’s family and took a new name Abdon Clement Kathigasu. The marriage took place at St John’s church in Bukit Nanas, Kuala Lumpur. Sybil had trained as a nurse and midwife and the couple worked together for many years in Ipoh. She and her husband were committed and hard working and their practice at 114 Brewster Road was busy. The family was Catholic, and vegetarian; they lived simply above the clinic. But the Kathigasus were not conformists. At the end of 1941, Chin Peng was hiding out in an atap hut outside Lahat, a few miles from Ipoh where the underground communist newspaper ‘Humanity News’ was printed. A few weeks before the Japanese landed in Thailand and northern Malaya, Chin Peng suffered a nasty bout of malaria. A comrade insisted that he go to a doctor. He said that the best, who dealt with all his patients with equal care, whatever their race or status, was Dr Kathigasu. He was already well known and admired by local communists because the Brewster Street surgery was close to a Chinese owned foundry and Dr Kathigasu had frequently treated sick or injured workers. He did not charge extortionate fees. The doctor had, Chin Peng noted, pictures of the Indian nationalists Gandhi and Nehru pinned to his surgery wall. While he was waiting, Chin Peng had a brief glimpse of the famous ‘Mrs K’. When a dose of liquid quinine failed to reduce Chin Peng’s fever, Dr Kathigasu insisted that he go to hospital – and it was from a hospital bed that he heard that Japanese troops had landed at Kota Bahru. A few days later Ipoh was bombed and the Kathigasu’s fled to Papan, a one street tin mining town on the edge of the jungle, where they set up at 74 Main Road. Dr Kathigasu soon returned to Ipoh, leaving Sybil to manage the dispensary. Chin Peng was aware that Sybil was ‘a great champion of the British cause’ as well as ‘incredibly God-fearing’. It didn’t matter. In Sybil’s world, the Japanese occupiers were the enemy; those who resisted should be helped at whatever cost. And that cost would be high indeed. 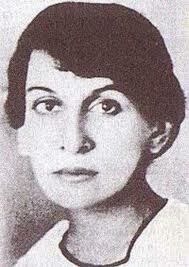 In her book, Sybil evokes the atmosphere in occupied Malaya: ‘the informer was everywhere, and everywhere was hated and feared… their rule was based on terror…particularly so in respect of the Chinese…they feared the Chinese and gave expression to their fear in savage persecution and constant spying…’ The Japanese mobilised an ‘army of informers or ‘intelligence agents’; they were Chinese, Malays, Javanese, Banjerese, Filipinos, Siamese, Ceylonese and Eurasians; an informer might be a cook or maidservant, cabaret girls and messenger boys; they haunted every crowded place. One learned, Sybil recalled, to ‘trust nobody’. The Japanese Military Administration took over the old colonial security apparatus virtually intact, merely replacing British rank and file with locals and appointing a Japanese officer class. The police and auxiliary forces expanded enormously. On a local, day to day basis this meant that occupied Malaya was policed by Malays and Indians. A few Chinese were employed in the ‘Toko’ detective branch. In the background, fanatical Kempeitai officers pushed the rank and file to perform their security tasks zealously. From the beginning of the occupation in February, 1942 the Japanese banned possession of radios, hoping to cocoon its people in a web of silence and ignorance. All radios had to be surrendered to local police stations and frequent surprise inspections carried out to find illicit sets. For the Kathigasu’s, this was intolerable. Sybil felt the ‘burning need to know what was going on in the world outside’. Her first act of rebellion was to acquire from a Mr Wong a fine GEC model that the family christened ‘Josephine’ which was ingeniously concealed in the family home. Papan’s main street ended at old tin workings at the edge of the jungle. When Sybil helped two young runaways from Singapore known as ‘Romeo’ and ‘Don Juan’ (someone in the MCP had a sense of humour), sick or wounded guerrillas began slipping away from their jungle camps to the dispensary at 74 Main Road. The dispensary was always busy in any case which meant that the jungle fighters could easily avoid detection. And so No 74 became a ‘clearing house for local news, messages and warnings…’ Sybil spoke perfect Cantonese. As a nurse and midwife, she was able to travel around the district quite freely without arousing suspicion. She never asked for payment. Most of the young MPAJA men who came secretly to the back door of her dispensary suffered from malaria, jungle sores, scabies and beri-beri. Many had symptoms of vitamin deficiency – which Sybil treated with an improvised paste made from the millings of polished rice. Sybil Kathigasu’s book which she wrote when she was dying after the war in Scotland is a gripping account of her work with the MPAJA guerrillas. She could not evade the Japanese for long. Somehow the Japanese discovered that ‘a Chinese midwife was helping the guerrillas’. Then on July 29, 1943 a Chinese police inspector Lim, a ‘Toko’ officer, called and searched the dispensary. The Kathigasu’s were arrested soon afterwards. Sybil was so severely tortured that she never recovered. After the war, the British offered her treatment in Britain and awarded her the George Medal. She died two years later in Lanark, Scotland. Sybil is now feted as a Malaysian war heroine and national martyr. A ‘Time’ article called her the ‘Edith of Malaya’, referring to Nurse Edith Cavell shot by the Germans in the First World War. The story of Sybil Kathigasu is a lot more complex than that implies. Resistance to Japanese rule was exceptional in occupied Malaya. I think her decisions reflected the fact that she and her husband had non aligned roles and social status in a communally divided society. Dr Kathigasu was a Catholic convert. As a Cantonese speaking Eurasian, Sybil was an insider-outsider. She had made a decision long before the Japanese came that the caring professions should pay no heed to communal or racial divisions. She valued informed connectedness as her courageous and illegal radio listening demonstrated. All these factors made Sybil unique. It was a lot easier and less perilous to comply with the occupying power as so many did.